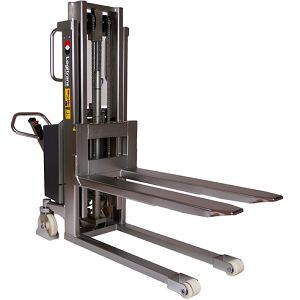 We supply high quality pallet stackers with wrapover forks, for lifting and transporting open sided pallets. 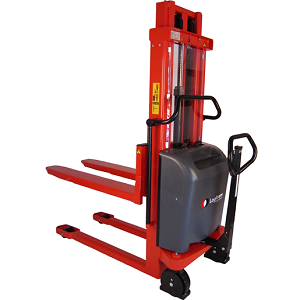 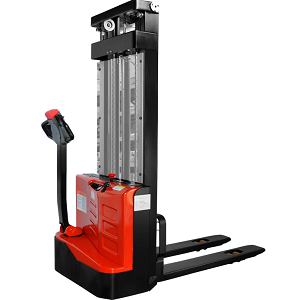 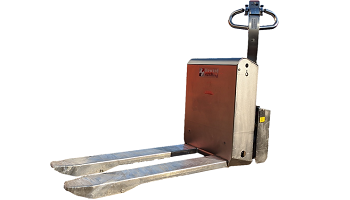 Our manual lifters, electric pallet stackers and fully powered versions are available in a variety of lift capacities. 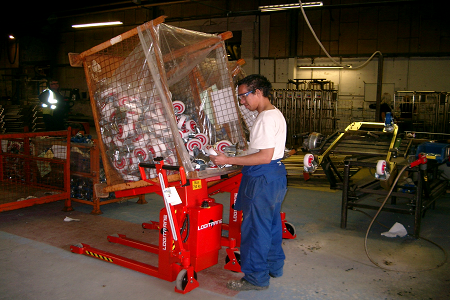 Lifters and stackers can be supplied with removable forks and with other attachments such as platforms, jib cranes and reel and drum forks, for multi-tasking. 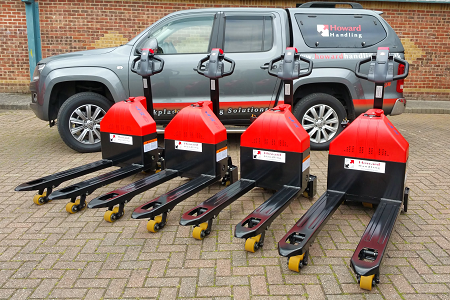 We offer customised bespoke stackers with non standard fork widths and lengths and can modify our range for many different lifting applications. 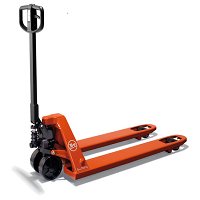 Lifts 800kg on forks to 1600mm. 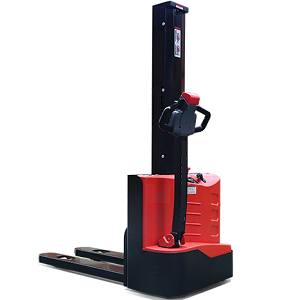 Initial lift forks have lift capacity of 1000kg. 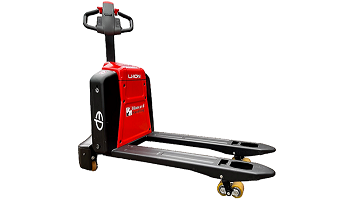 Can also be used as electric pallet truck with max 2000kg capacity. 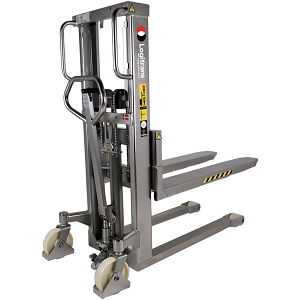 Compact manoeuvrability for light-medium pallet handling applications. 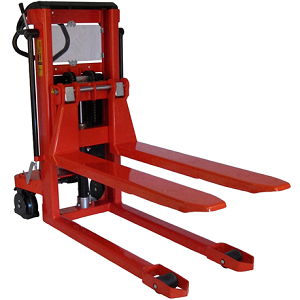 Pallet stacker trucks can be used as an alternative to forklift trucks and provide a safer work area. 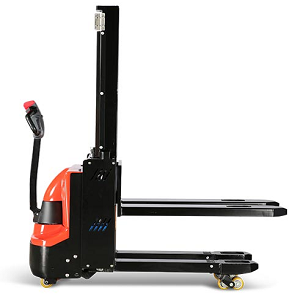 These trucks have small dimensions for confined areas and a compact mast, which gives the operator excellent visibility. 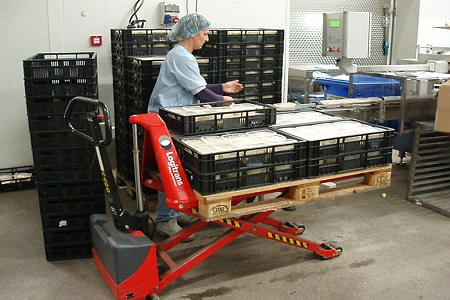 The above stackers are for Euro and open pallets. 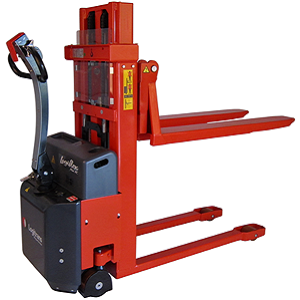 Please see our range of straddle stackers for handling UK Chep pallets with bottom boards.